In many cases, when you use an antifoaming agent, you will choose the appropriate defoamer according to your needs. But sometimes you will not know how to choose the defoamer, for example. 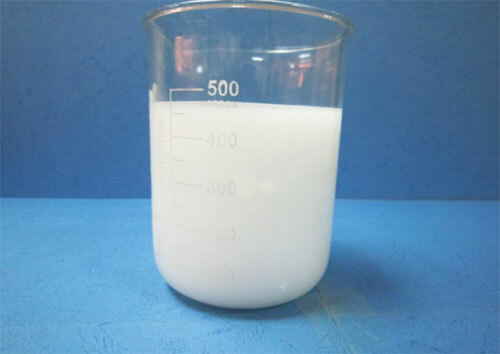 Under certain circumstances, it is doubtful whether water treatment defoamer or polyether defoamer is good. In this case, I will make a brief introduction to these two defoamers, and everyone can choose according to the actual situation. Water treatment defoamer is very convenient in the process of use, after professional and precise design, as long as the defoamer is put into the products you need to defoam, the defoaming performance can be clearly seen; suitable for direct addition at low and high temperatures; with quick defoaming , long foam inhibiting,low dosage, non-toxic, non-corrosive, no adverse side effects, especially no side effect on water system, good water solubility, easy to disperse in water, and very compatible with liquid product and no need for manual continuous stirring.Normally, there are three kinds of defoamers: industrial wastewater treatment defoamers, biological water treatment defoamers and circulating water treatment defoamers. What about polyether defoamers? Polyether defoamers are synthesized from various initiators, which can be used as a basis for classifying polyether defoamers. According to these initiators, polyether defoamers can be divided into polyol type, fatty acid type and amine ether type. Therefore, polyether defoamers are widely used, just like polyether in circulating water treatment defoamers, it is also added to the water and can be quickly dispersed. Polyether defoamer is a kind of defoamer with very unique block mode and chain length. Now do you know the difference between water treatment defoamer and polyether defoamer? As for the details of the use, I will not share it here. After all, I am also limited energy. You can send an email to the SIXIN technology defoamer manufacturers. By the way, if you don’t understand anything, you can consult them.